Our philosophy is simply to hone the student’s ability to create their own unique individual sound, free of tension and fully supported, without crowding their head with too much information. We like our students to experience the feeling of great singing without being in their heads about all the technicalities. While it’s important to know and understand how your voice works, it’s easy to lose the magic and artistry when there is too much structure and not enough freedom. Great singing is a visceral experience. When done correctly, the body knows it and will begin to process technicalities naturally. Singing is actually very simple but people and teachers often over-complicate it. 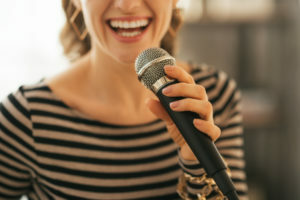 Singing should be FUN and HEALING! If it’s not, you’re not doing it right.